Aquasana is less expensive than pitcher filters. Please Note: Kindly refer the Instructional Video and the User Guide before use which is highly essential. The AQ-4000 Aquasana countertop water filter is the most economical way to get clean, crisp, healthy water for your family. Named one of Health Magazine's Healthiest Gadgets for 2011, our countertop drinking water filter offers Aquasana's unbeatable drinking water filtration technology in a convenient, portable package. There's no need for an extra hole in your sink to enjoy healthy, filtered water. 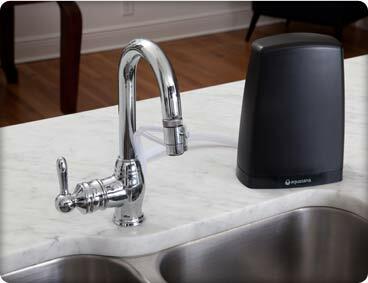 Simply attach our diverter to your existing tap, and the countertop unit takes up just a small space on your counter. Water under pressure means better filtration. Our unique twin cartridge system uses a combination of carbon filtration, ion exchange and sub-micron filtration. Your tap water is forced under pressure over filtration material covering more than two million square feet of surface area, so it removes over three times more contaminants than leading pitcher filters. Some water filter systems strip out the healthy Total Dissolved Solids (TDS) leaving you with zero calcium, magnesium and potassium. 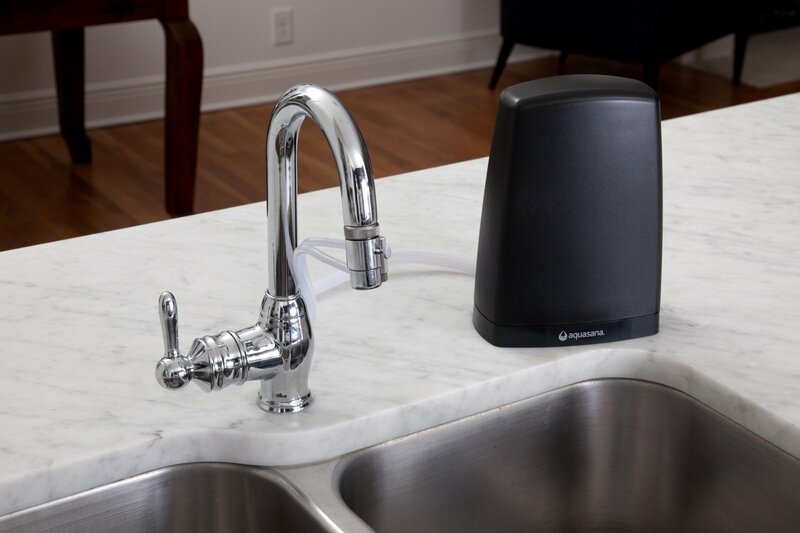 The Aquasana water filtration system is uniquely designed to remove pollutants, reduce odor, and improve taste while preserving healthy minerals for optimum hydration. Certified contaminant reduction 97.4-Percent of Chlorine, Free Available 99.9-Percent of Particulate 99.9-Percent of Cyst Live Cryptosporidium and Giardia 96.6-Percent of Mercury 99.3-Percent of Lead 81.8-Percent of Methyl Tertiary Butyl Ether (MTBE) 99.0-Percent of Turbidity 99.4-Percent of Volatile Organic Compounds (VOC) by Surrogate 99.0-Percent of Asbestos For a complete list of contaminants reduced, see the Aquasana AQ-4000 Performance Data Sheet. System tested and certified by NSF International against NSF/ANSI Standard 42 and 53 for the reduction claims specified on the Performance Data Sheet. 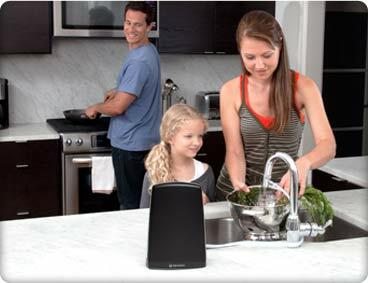 Use only the healthiest water for drinking and cooking.